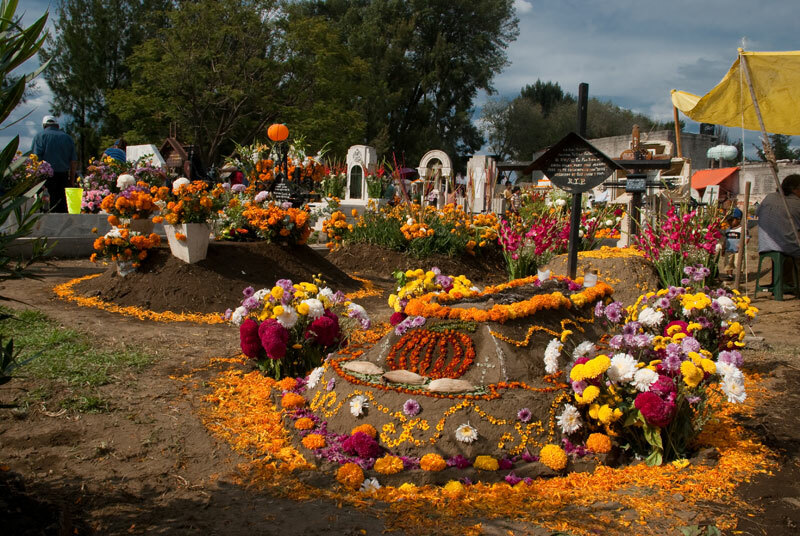 This is All Souls Day in Mexico, the second day of Día de los Muertos. 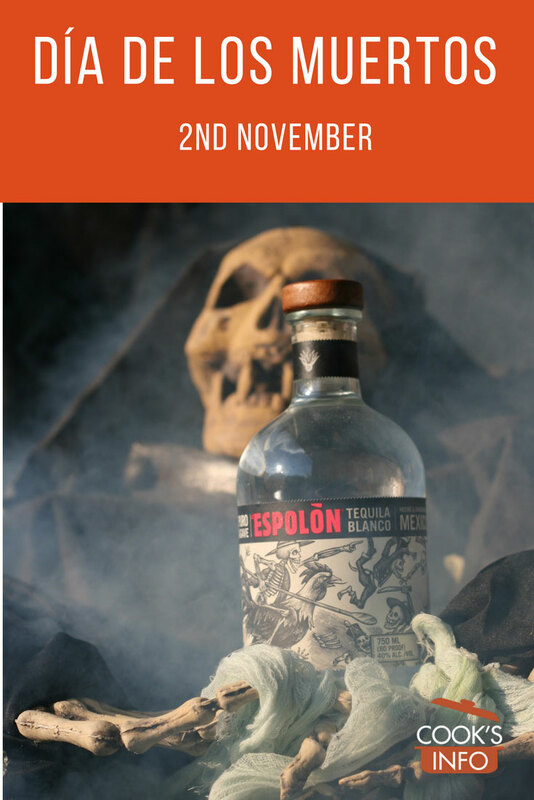 While the first day focussed on the spirits of dead children and babies, this day focusses on dead adults who may have returned to visit. 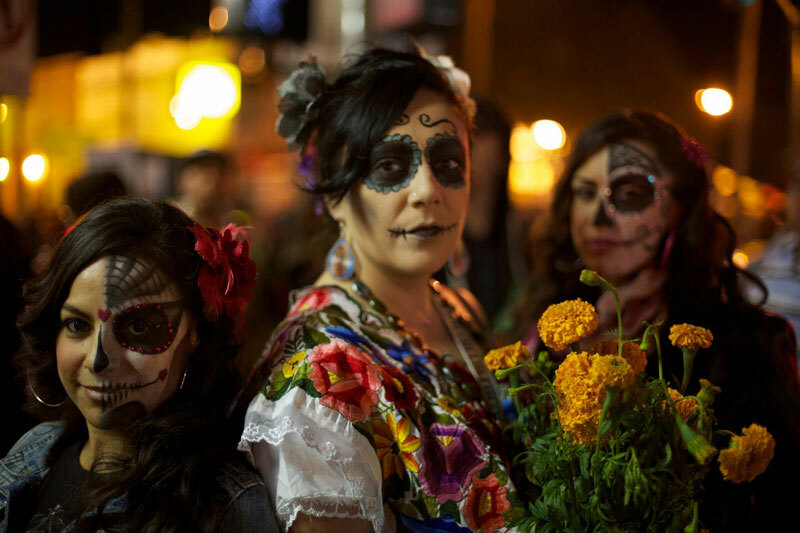 It’s a day of feasting, to celebrate the souls who have returned to join their relatives for the day. The graves have placed on them what was the deceased person’s favourite food. 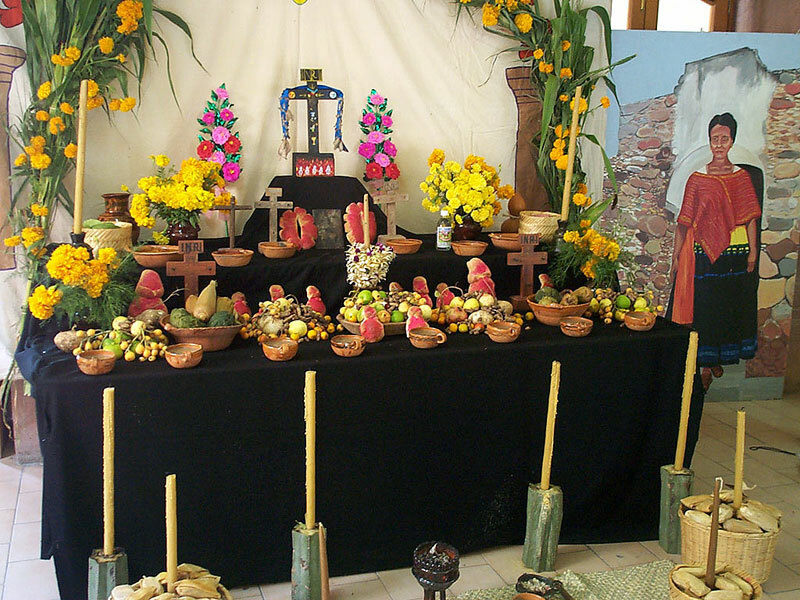 Altars are constructed on which more food is placed, and family and friends stay at the altars all night, giving the spirits the chance to visit and feast. Afterwards, the living eat the food.